Green roofs help manage the quality and quantity of storm water, energy use and air and water pollution. They’re invaluable and quickly growing worldwide. Vanessa Keitges, my latest guest on freshwater Talk, is leading the way in this industry. A Forbes “40 under 40” nominee, Keitges bought green roof manufacturer Columbia Green Technologies in 2009 and has realized a 200 percent increase in growth year over year since. “Women only receive 1 percent of venture capital funding each year, and I was honored that investors believed in me,” said Keitges. Green roofs, like the ones manufactured in the U.S. by Columbia Green Technologies, are being used to mitigate climate change impacts, water quality issues and the expanding gap between energy supply and demand. Green roofs combine two trades – roofing and landscaping – into a $6 billion industry. Keitges tells us exactly how green roofs can achieve huge environmental and economic gains. Appointed by Barack Obama to the President’s Export Council, Keitges also works alongside CEOs of leading companies like Ford, Disneyland and UPS to advise the president of policies and programs that affect trade performance and promote export expansion. In this podcast, she talks about how the Trans Pacific Partnership establishes global environmental standards for water and air and its environmental impact in countries like India and China. Dynamic. Engaging. Intelligent. You do not want to miss my conversation with Vanessa Keitges. She will not disappoint. As always, thank you for listening to freshwater Talk. 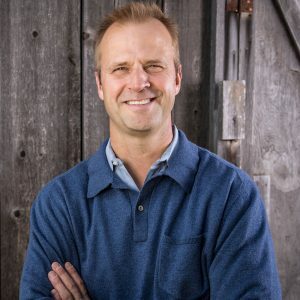 Stay tuned in August for my conversation with Bradford Warner, vice president of marketing for Agspring, a developer of sustainable agricultural supply chains.